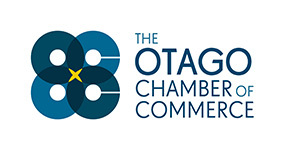 We are a boutique law firm based in Dunedin, the education capital of New Zealand. We provide specialist services to New Zealand and international clients in the Property, Business, Immigration and other areas. Chinese who were born here or overseas. Our team is headed by Teresa Chan who brings her cross-cultural background and bridge-building skills, her respected approach to law and business, and her drive and commitment to find solutions for you. Our job is to help you to find the best solution for your circumstances. Here are some of the questions we have dealt with, or can help you with. Buy or sell a business? Enter into a joint venture, partnership, or form a company? Buy into a franchise or set up a franchise? How do I maximise my ability to collect from my customers? How do I protect my assets from my creditors? What duties do I owe as a Director? What are my maintenance obligations? What am I responsible for and what can I be charged for? What are the options for fitout work to be done? Is it better for my landlord to pay for that or me? What is the best ownership structure for my rental properties? What should I consider when buying a commercial property? What should I consider before carrying out a property development or a subdivision? Do I need to update my employment agreements? What employment issues do I need to consider when I sell my business? How do I include enforceable restraints of trade for my employees? What do I need to do to employ staff from overseas or retain a valuable employee from overseas? What NZ visa requirements do I need to consider for my overseas joint venture partner and their employees to ensure success of the joint venture? How do I protect my business name or logo? How do I stop someone from using my trademark? What other intellectual property of my business should I protect? My customer hasn’t paid me. What should I do? How do I resolve a conflict which has arisen with my partners/shareholders? What are my options? How do I resolve conflicts with my customers, or suppliers? What are my options? What are the important reports I need to obtain when buying a property? How do I compete in a fast moving market to get the property I want? How do I deal with issues which emerge from building and LIM reports? What do I need to consider when I move in with my partner? How do I negotiate separation of the assets in a way which looks after my and my children’s interests? How do I protect my assets from future relationships? How do I protect my assets from my spouse/partner’s business risk? How would I bring my partner whom I met overseas back to New Zealand with me? My wife and I have 1 daughter and 2 sons. We would like to leave specific items to our children. How do we do that? My partner has children from a previous marriage. When one of us dies, we would like the other to have the right to stay in our relationship home until s/he dies. How do we do that? My wife and I have no children. When we pass away we would like to leave part of our Estate to specific charitable or scientific purposes. How do we do that? One of our children has married someone who is very controlling. We would like to ensure that what we leave for that child will be protected for her and her children. How can we do that? What are my obligations as an Executor? What if there is disagreement with amongst the executors? What if one of the beneficiaries challenges the Will? What if a party not named in the Will makes a claim against the Estate? How should Trust assets and Estate assets be dealt with? How would I go about making a claim against an Estate? Are family trusts still relevant these days? Who should be my Trustees and Beneficiaries? How do I design a Trust which will benefit my children after I die even if my wife remarries? Should I gift everything to my Trust now or should I spread my gifting? I have an existing trust which doesn’t allow me to achieve my plans for the family. What can I do? What are my rights in a restructuring or redundancy situation? What restraint of trade can my employer impose on me? How can I resolve a dispute with my neighbour regarding noise, fencing, or trees? How do I resolve a dispute with my landlord regarding my tenancy? How do I resolve a problem with a retailer whom I bought from? How can I stay in New Zealand after finishing my university studies here? I am highly experienced in my profession, and would like to work and settle in New Zealand. What are my options? 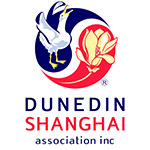 I would like to set up a business in New Zealand exporting to my home country. Is it possible to seek residency in New Zealand from that? I have substantial assets, and would like to apply for residency in New Zealand. What are my options? Can I apply for residency in NZ when I am past retirement age? What are the tax considerations if I was to set up a business in NZ? Should I incorporate a company in New Zealand? Do I qualify as a NZ resident director for the purposes of forming a company in NZ? How do I protect my NZ assets from my business risks overseas? I have formed a joint venture with a NZ company. What NZ visa requirements do I need to consider for myself and my staff for the success of my joint venture? How do I protect my business /product name and logo across different countries? Am I considered “ordinarily resident in New Zealand”? Is the property I am buying “sensitive land” under the Act? What information do I need to provide to the Overseas Investment Office for an application for their approval? What factors are relevant for the “with and without” counterfactual analysis? How do I structure my Estate planning with assets in different countries? How do I protect my New Zealand assets from my overseas business risk? Can I deal with someone who speaks Mandarin and understands me? Can I deal with someone who speaks Cantonese and understand me? Can I have my documents translated from Chinese to English, and vice versa? Will my lawyer assist me in understanding the New Zealand culture and settling in to New Zealand?